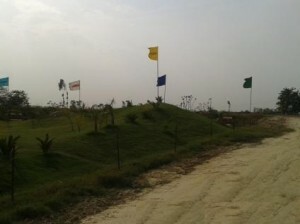 Fully Developed Ready to Move Plots are Avaiable in Mohanlalganj,Just 5 Km From DLF garden city!!! CCTV Secured Systems,Club with Gym Facility,Jogging tracks!!! Immediate Possession and Registry,5 Km,From DLF garden City! Efficient Power Power Backup and Distribution System with Transformer! Surrounded By many Educational Institutes!! !